These are the specification sheets from the light truck facts book which Ford gave the dealerships. 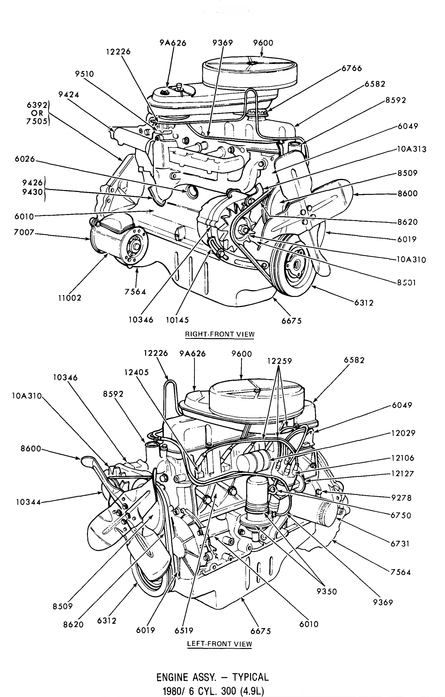 In considering the varying engine output ratings (see the Specifications tab) over the years and the vehicle weight ratings it seems like there are several things in play, including the carburetor, manifolds, cam, and compression ratio. 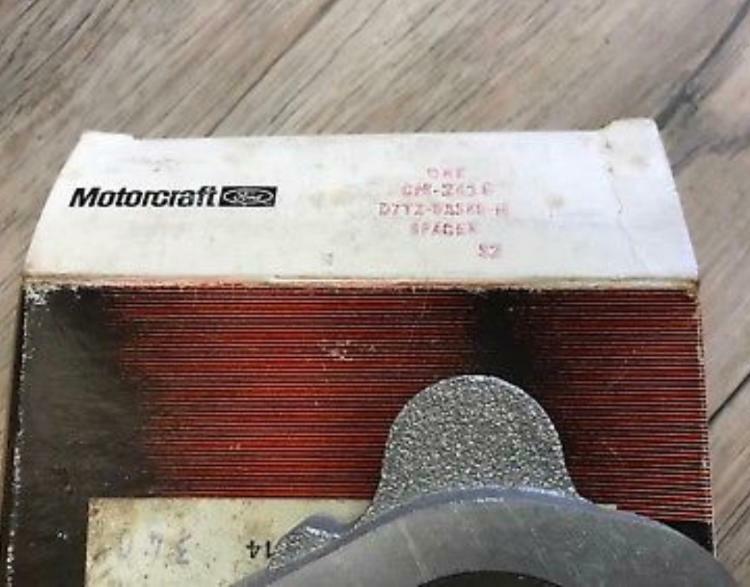 Toward the latter I've done some sleuthing: The connecting rods didn't change from 1980 through at least 1989, so the CR changes are elsewhere. So, what about pistons. Here's what I can determine from the catalog, along with the compression ratios shown in the yearly dealer fact books, as shown on the Specifications tab. However, I'm confused with the compression ratio of the HD trucks as the same pistons, rods, and heads were used from 1980 through 7/23/84. And yet the 1983 and '84 compression ratios for the HD trucks supposedly increased by 0.4:1? Today (12/13/18) I climbed up to the microfiche tower and reviewed the 1990 version of the MPC on fiche. And, there were some significant differences in both the piston and head areas. On the piston info, I've added the info to the spreadsheet, and I've shown the changes in red. 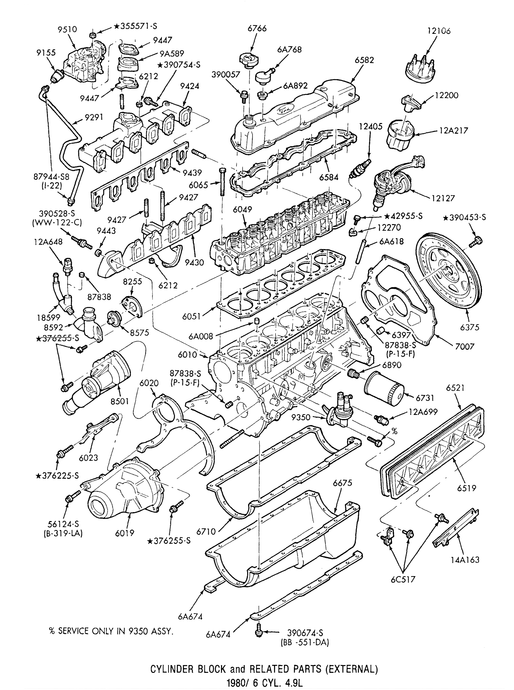 Note that there's another piston (E4-L) that doesn't even show in the '94 MPC. And, there was a lot of clarification regarding the other pistons. And, the info on the heads was different as well. I added it to the spreadsheet, as shown, but haven't gotten my head around it yet. 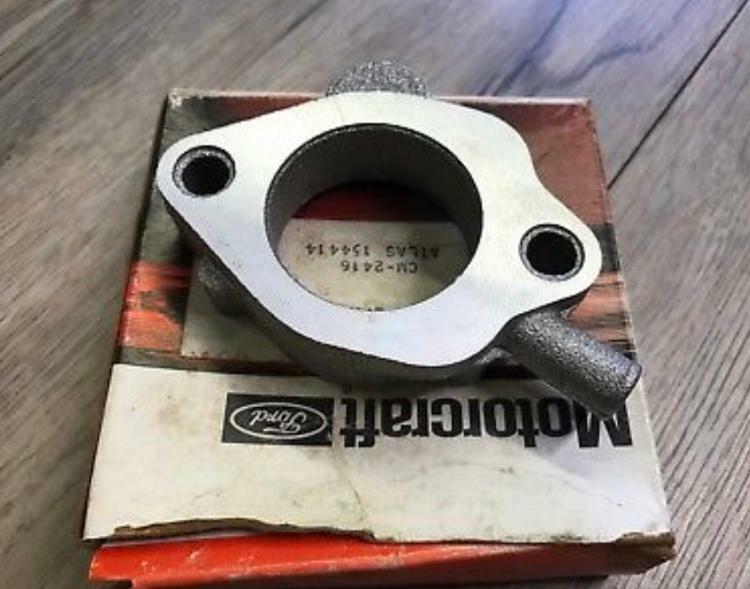 Ford used at least two types of spacers for the carburetors - with and without EGR. 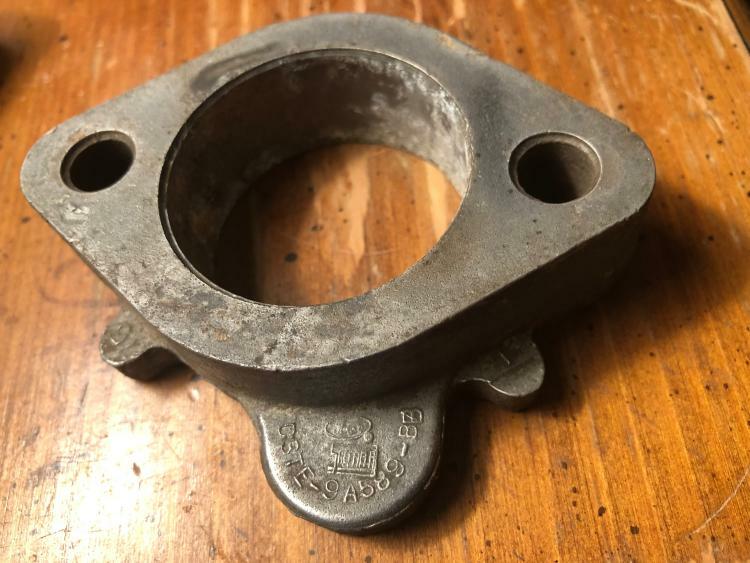 The ones with EGR had a hole that allowed exhaust gas to enter the intake, and those w/o EGR had a tab that covered that hole. Some people are looking for the non-EGR spacer, and there are two known sources, as shown below. But if you find another please let me know so I can document it. Here you can see the tab covers the exhaust gas hole, a spacer w/o the hose barb'd vacuum fitting, and one with the vacuum fitting.